*MisMatch are posts where I highlight a fashion trend or particular collection which is well put-together and fashionable but which for one reason or another I don’t actually like. Louisa Parris scarves are striking with unusual designs – statement pieces if you will, made to stand out from an outfit rather than blend in or add the finishing touch. Perhaps that’s the reason I don’t like them – I prefer my scarves in basic, deep colors – forest green, maroon, gold. These have a retro, throwback feel, with their stripes and bold colors, and while I certainly recommend you check out the collection, it just doesn’t jive with me – to my eye they are pricey pieces that would be difficult to color-coordinate. 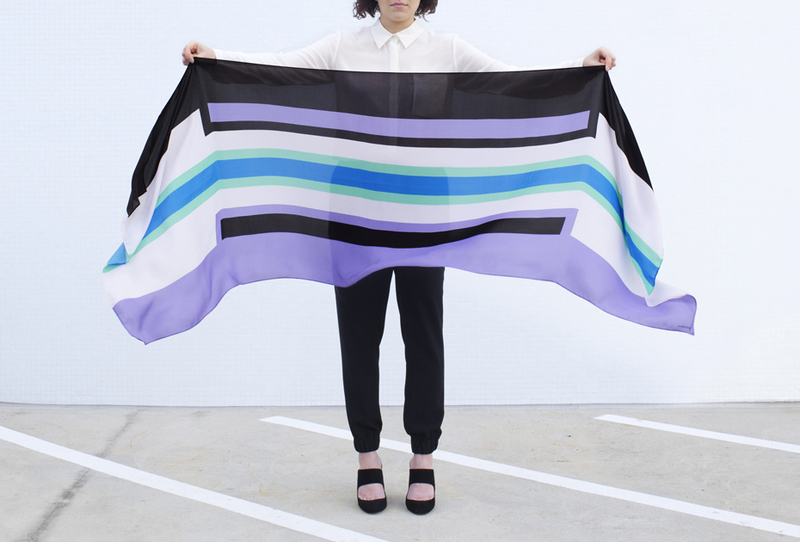 Tags: bold, fall colleciton, Louisa Parris, Louisa Parris collection, Louisa Parris scarves, MisMatch, retro, retro scarves, statement piece, stripes, style, style commentary, style eye, throwback. Bookmark the permalink.